Buckingham is located in the rural north of Buckinghamshire, UK. It can be typified by its Georgian buildings and its historical features, such as the Golden Swan and The Old Gaol, which stands in the centre of the Town. Previously the county town of Buckinghamshire, the town itself dates back to the seventh century and is said to have taken its name from the first settlers – Bucca’s people, who lived on the land in the river bend and were hemmed in by water. The town has a unique market heritage, with its twice weekly Street Market dating back to 1554 and a Royal Charter granted by Queen Mary. Now there is also a Saturday Flea Market as well as occasional Specialty Markets. There is plenty to see and do, with a variety of independent shops, restaurants and cafes, historical buildings, a museum and plenty of parks and green spaces. 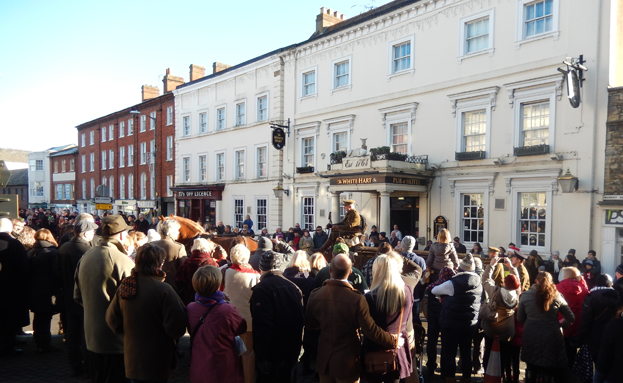 There are also many varied events that take place in the town throughout the year, including the Charter Fair, Music in the Market, the Christmas Parade and the Fringe Week. The town’s Christmas Parade is one of many important community events held in Buckingham.